Personality Disorders Revisited" (450 pages e-book) - click HERE to purchase! It is not easy to tell when the patient's anxiety and depression are autonomous and neurotic problems or symptoms of a personality disorder. These should, therefore, be ruled out as differential diagnostic criteria. In other words, the mere existence of depression or anxiety in a patient does not prove that he or she has a personality disorder. Instead, the diagnostician should concentrate on the patient's defenses and perceived locus of control. Patients with personality disorders have alloplastic defenses and an external locus of control. In other words, they blame outside influences, people, events, and circumstances for their own failures. Under stress and when they experience frustration, disappointment, and pain - they seek to change the external environment. For instance, such patients may try to manipulate others to gratify them and thus alleviate their distress. They achieve such manipulative outcome by threatening, cajoling, seducing, tempting, or co-opting their "sources of supply". 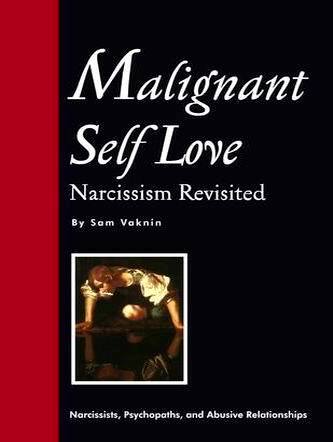 Patients with personality disorders also lack self-awareness and are ego-syntonic. They do not find themselves, their conduct, traits, or the lives they lead to be objectionable, unacceptable or alien to their true self. They are mostly happy-go-lucky people. Consequently, they rarely assume responsibility for the consequences of their actions. This is further compounded, in some personality disorders, by a startling absence of empathy and scruples (conscience). The lives of personality disordered subjects are chaotic. Both the patient's social (interpersonal) and occupational functioning suffer grievously. But though cognitive and emotional processes may be disturbed, psychosis is rare. Thought disorders (the loosening of associations), delusions, and hallucinations are either absent or restricted to transient and self-limiting micropsychotic episodes under duress. Finally, some medical conditions (such as brain trauma) and organic issues (such as metabolic problems) produce behaviors and traits more often associated with personality disorders. The onset of these behaviors and traits is a crucial differentiating criterion. Personality disorders start their pernicious work during early adolescence. They involve a clear sensorium (processed input from sense organs), good temporal and spatial orientation, and normal intellectual functioning (memory, fund of general knowledge, ability to read and calculate, etc. ).